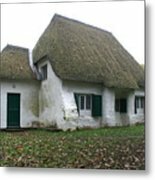 When I was in Cornwall in 2007 I paid a visit to Come -to-Good and took this photo of the meeting house with it's magnificent thatched roof, there was a major restoration and re-thatching in 2010 The Friends Meeting House, Come-to-Good, is a meeting house of the Society of Friends, on the southern border of the Parish of Kea, near Truro in Cornwall, UK. 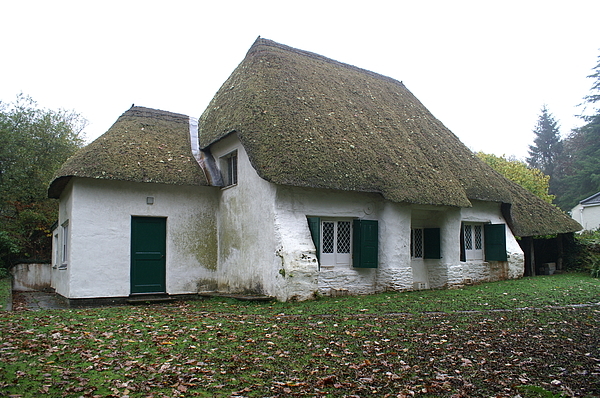 It was also known as Kea Meeting House and Feock Meeting House. It is a Grade I Listed building. From 30 May 1967 until 14 April 1999, it was Grade II*. 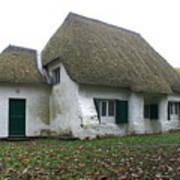 The building is in cob, on a stone rubble base and was completed in 1710. A single storey extension for an entrance lobby, kitchen and lavatories was built in 1967. Both the main building and the lobby are thatched. There was a major restoration and re-thatching in 2010. There is a burial ground but only five headstones, all belonging to members of the Magor family, who died in the nineteenth century. It is the burial place of Catherine Payton Phillips.